It's hard to believe the monumental finale of the Skywalker saga only ranks in the middle of my ten most anticipated features this year, but after 2017's The Last Jedi both excitement and expectations have been severely tempered for this last installment. If it's not obvious already, I was not a fan of Rian Johnson's middle chapter in what is seemingly the third and final trilogy in the main series of Star Wars films as it almost irreverently disregarded everything writer/director J.J. Abrams set-up in 2015's The Force Awakens. And while Abrams is back to complete this trilogy he began four years ago one cannot help but feel much of the air has already left the room despite the fact we haven't seen a single shot or piece of footage from the upcoming film...until today. While story, character, and plot details have been incredibly mum what we did learn in today's Star Wars celebration panel is that the story does not pick up immediately after the events of TLJ and concerns the core group of new characters going on an adventure together. Here's to hoping lowered expectations lead to greater reward. Director J.J. Abrams and Lucasfilm director Kathleen Kennedy also touched on topics such as the use of practical versus visual effects not just in this last film, but in this trilogy as a whole as well as touching on the fact that the final day of filming was emotional without going further into detail so as to seemingly avoid spoilers. Several cast members including Anthony Daniels, Lando Calrissian himself Billy Dee Williams, new generation cast members including Daisy Ridley, John Boyega, Oscar Isaac, Kelly Marie Tran, Joonas Suotamo, and newcomer Naomi Ackie who we now know plays a character named Jannah. The live and streaming crowds were also introduced to BB-8's new friend, Dio, a smaller droid that is distinctively cool. Adam Driver, Billie Lourd, Carrie Fisher, Lupita Nyong'o, Mark Hamill, Keri Russell, and Richard E. Grant also star. 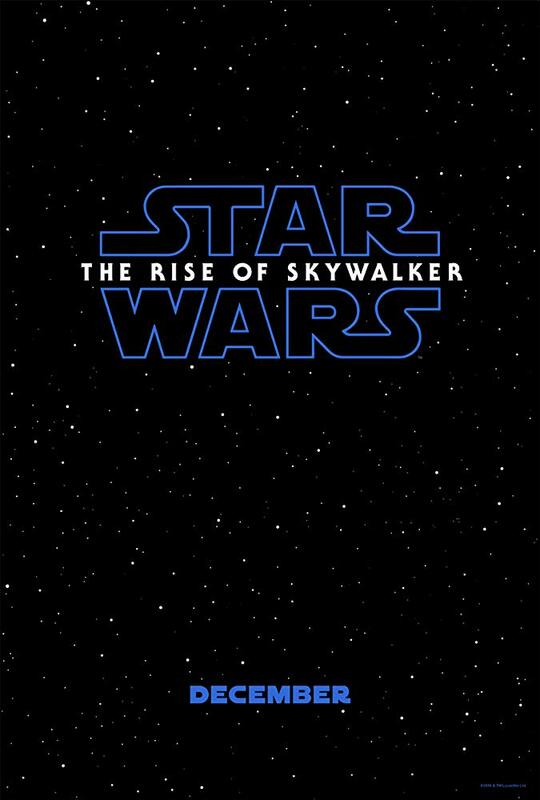 Star Wars: Episode IX - The Rise of Skywalker opens on December 20th, 2019.